Disasters can strike without warning posing danger to a business, employees and business continuity. Planning ahead and preparing for the unthinkable is your best route to mitigating losses. What is a Business Pre-loss Planning Continuity Strategy? A business continuity strategy helps guide you, your employees and your business through a disaster. Procedures regarding preventative and recovery strategies are planned out before a tragedy hits so that everyone knows what to do until normal operations are restored. Since disasters can occur anywhere with little or no warning, it’s crucial that your company has a continuity plan in place. Along with keeping your staff and your essential equipment safe, a business continuity plan will provide information on how to keep operations running smoothly, even when the basecamp is damaged. That way, in the unfortunate event that a disaster does occur, everyone will already know how to continue business until the building, your technology and all your important contents can be restored to full pre-loss conditions. Losing even a single day can be devastating to your productivity, profits and reputation. When your pre-loss plans include ServiceMaster by Glenn’s Free Emergency Response Agreements you are better prepared for the unexpected. We can minimize damage and help you get back to business quickly and efficiently. "When Disaster Strikes, the time to prepare has passed." Having an E.R.A. in advance can help to ensure a faster and more effective recovery should the worst happen. Burst pipes, flooding, fire and smoke. You can’t always predict when disaster will strike, but you can plan what will happen if it does. ServiceMaster by Glenn’s offers customized commercial Emergency Response Agreements to ensure a faster and more effective recovery should the worst happen. 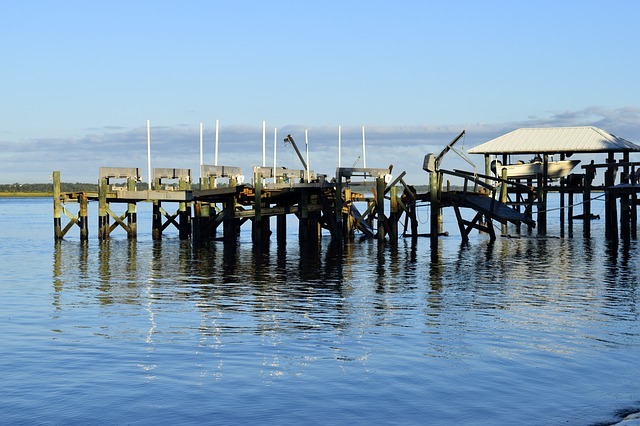 According to FEMA, 40 percent of small businesses never reopen after a disaster? An E.R.A. is a non-binding agreement that allows ServiceMaster by Glenn’s to have the first opportunity to respond to your emergency needs. But more importantly, it provides a guaranteed response in the event of an emergency at your property. With 24/7/365 MANNED PHONES, you never have to leave a voice mail. We are on call around the clock for immediate response. 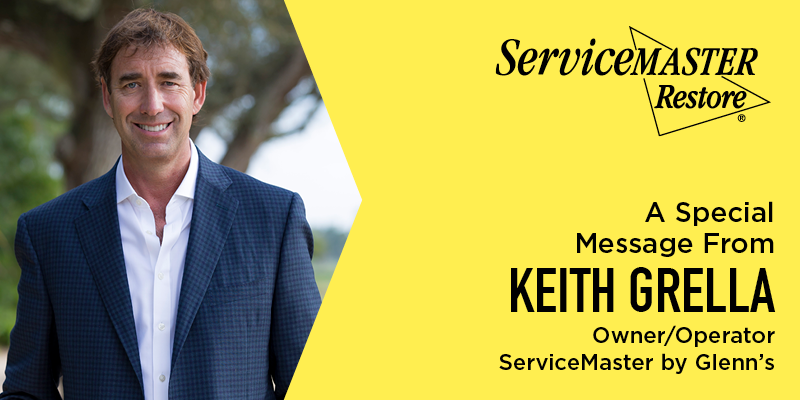 With over 40 years of experience and servicing South Florida, ServiceMaster by Glenn’s is here to help restore your peace of mind. Services & costs are specified before a disaster strikes with insurance accepted Xactimate pricing. Highly trained and certified professionals knowledgeable in all phases of water and mold mitigation and structural restoration. 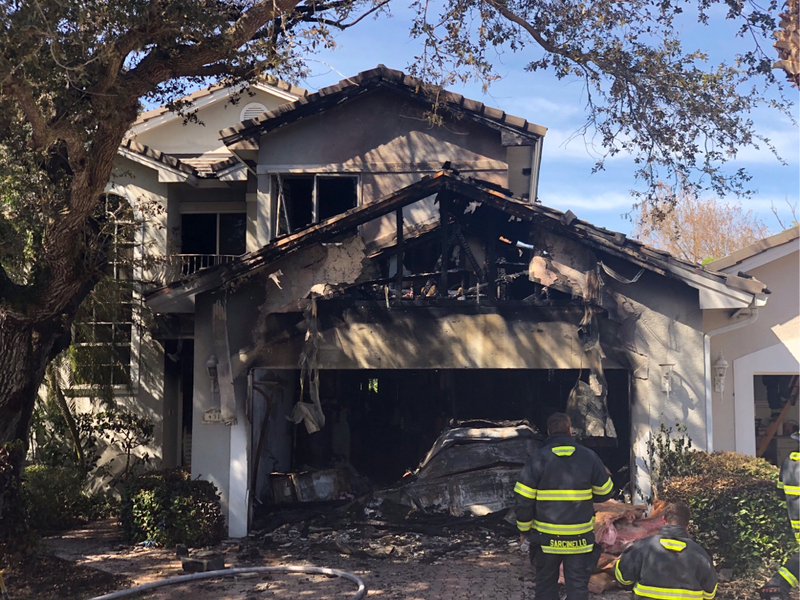 At around 9:15 am the residents at the 400 block of North Peppertree Drive in Vero Beach woke to a fire that started in the garage of their family home. The homeowners were thankfully able to make it out unharmed. Our team responded and worked with the fire marshal to pack out everything that could be salvaged from the house. They carefully cleaned and repacked all of the residents’ belongings. Then, once approved by the fire marshal, our team started with the demo. The heat of the fire scorched the underside of the trusses and framing that hold up the second floor. With the 2nd floor above the garage scorched from the fire, jacks had to be put in place to brace the upper level and prevent the 2nd floor from caving in. In order to enter the structure we first needed to work with the engineer reports and create safety protocols. 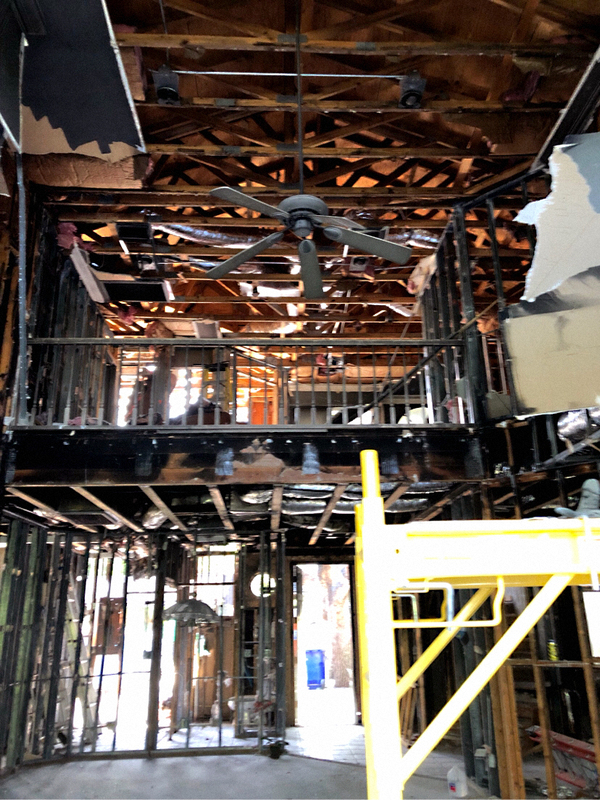 Our team then spent multiple days gutting the house, removing all burnt walls, ceiling, insulation, furniture, and flooring. "Over the past 25 years I have personally seen it all when it comes to disasters and know what it takes to complete any restoration project." Even when you’ve come prepared in times of calamity, natural disasters will strike like a thief in the night. While you may have presence of mind, doing anything you can to save your property, nature can still work its way into your home. Yes, it’s inevitable but definitely reparable. 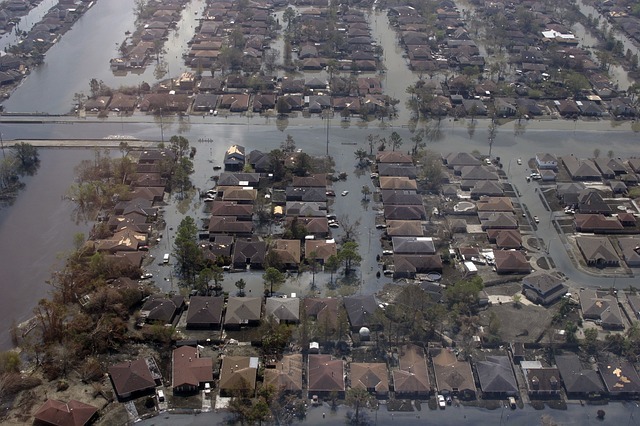 There’s no doubt that flooding have incurred billions of expenses in the United States and other countries around the globe. If you’re one of those whose property has been damaged by flooding or you are worried that your area is at risk of flooding, taking safety measures will minimize the damage or even save you from the devastating effects of flooding. 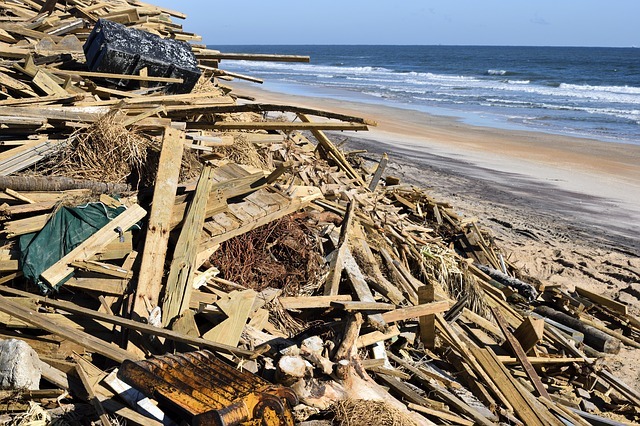 For savvy homeowners, especially in areas prone to flooding, hiring a company like flood damage Vero Beach restoration company is a wise decision. Procrastination and neglect are your enemies during calamity. If you’ve come unprepared, you’ll need to suffer the costly and dangerous consequences. Most often than not, people underestimate the forces of nature. Flooding makes the water strong and forceful, no amount of human strength can stop it. If you’re prepared, you can protect your family and property from serious damage caused by flooding. So, what should you do to minimize the damage and stay safe? Assess the area if it’s prone to flooding. You might be oblivious to the fact that your area is flood prone. One of the first safety measures to consider is to evaluate the risk of an area for flooding. Take note though that you should not only focus on area where your house is situated. You might also want to look at the routes you take to work or school on a daily basis. Take time to research the flood maps and check if your home has enough elevation. You can also approach your local emergency management office to evaluate your risk. Your home does not have to be in a flood zone for you to qualify for flood insurance. As they say, it’s better to be safe than sorry. If your home is near a dam, reservoir or a leveen, securing flood insurance is a good idea. Just imagine the devastation brought about by Hurricanes Katrina and Harvey. You do not want your home to be part of the statistics do you? Once you got yourself flood insurance, the next step is to make sure that you’re aware of your coverage. It’s common for policyholders to be totally clueless about their coverage. The reason? They’ve failed to dig deeper into the details of their property insurance policy. Do not be a hapless victim. Be sure that you know the extent of the coverage. If you live in a hurricane country, you might need to purchase a separate policy because standard property insurance does not cover damage caused by floods. That means you need to pay for the flood damage restoration. Having separate policy that will cover the damage saves you from spending vast amounts of money on restoration. 3. Prepare for the disaster. Unfortunately, many residents have lost their homes because of unpreparedness. You do not have to be one of them because simple disaster preparation techniques like keeping plastic sheets, shovels, sandbags, plywood, and trash bags on hand will minimize the risk and ensure safety. Including a flashlight and some extra batteries, food, cash, cell phone and chargers, and medicine can be your first defence against flooding or any natural disasters. You can also seek help from the local emergency management professionals in learning about the flood risks. This way you can prepare for the flooding. They have the specific information about the area where your home is located. They will provide you with essential information like how the area absorbs or drains water, how rivers or canals in your location flood. 4. Make an evacuation plan. If your home is in a flood-prone area, you’ll also need to prepare an evacuation plan and of course, a backup route. You also have to make sure that all of your family members are familiar with the evacuation route and plan. Check the route that still works if your area is prone to flooding or seasonal storms. You might want to conduct a drill with your family so they will know what to do when there’s flood. Do not forget your emergency supply kit. Be sure that it’s accessible in case you need to leave home quickly. Do not set communication aside as it’s important at this stage. Talk to your community association so people in your neighborhood will also have an idea about the importance of evacuation preparation and plan. You can also send residents information like emergency contacts and evacuation route. Some of them do not have an idea how to submit insurance claims so this can be a starting point for them. Avoid going in the water. You’re no mutant to swim in six-inch deep water, especially if it’s rapidly running. You’ll end up being washed away by water in seconds. The water can even carry away a full-sized SUV so never underestimate the forces of nature. 2. Look for higher ground. You’ll need to find a higher elevation if you’re walking. In the event your vehicle stalls, you need to get out and seek higher ground as well. Make sure you have your radio tuned to national weather so you’ll get updates and alerts regarding the weather. You may also install an app where you can stay in the loop with the latest information on local weather. 4. Stay away from electrical equipment. At this stage, there might be electrical equipment submerged in the water. Avoid standing in water at all cost. Avoid going home until you’re assured it’s safe. While you might be worried about your home, it’s unwise to go back unless your local emergency management officials will confirm that it’s safe. 2. Do not go inside your home without checking your home visually. Your home might be damaged or has broken gas lines or loose power lines. Do not enter unless you check your home. You might step on broken glass or there might be snakes or other wild animals which have been carried in with the water. Although you can drive once the flood waters have receded, it’s still necessary to drive with caution. After the flood, the roads might be partially damaged, making it difficult for you to drive from point A to point B. Do not cross the barricade. Look for a safer route instead. 4. Wear boots and gloves when cleaning up. Before you decide to go back to your home, you’ll need to clean up the area first. Observe safety measures by wearing rubber gloves and boots. Some of the items might be contaminated. If you’re in doubt, throw the items out. 5. Be aware of future risks. The factors that can put you at serious health risk include damaged pits, cesspools and septic tanks. Hire a qualified professional to have these checked. Talk to a property management company about the services for dealing with damages after the flood. 6. Talk to your insurance company. You can avoid spending your money on repairs if you contact your insurance company. Be sure to take photos of the damage in your home. The insurance needs to be processed as soon as possible so you can still qualify. Coordinate with your property manager as they can assist you with the process. As soon as the flood is over, the next thing you need think about, aside from preparing documents for your insurance claims is the restoration project. The common tasks involved once the flood are cleanup, mitigation, drying and of course, repair. You need to prevent the fungal growth and this is where flood damage Vero Beach restoration companies come in. You cannot return to your home unless you restore it to its best condition. A company that’s quick in responding should be considered so you can take care of the problem in the fastest time possible. The company you’re going to hire will employ people to get the job done efficiently. With fast turnaround time, you’ll be able to prevent severe damage from occurring. You can also be sure that the company will use special equipment to ensure that the task is accomplished in a timely manner. You may not know what else needs to be done unless you seek help from a water damage professional. They are highly skilled and trained for the job. You can be sure that they’ll give you the right advice regarding damage restoration. When there’s moist in the area, expect it to become breeding ground for mold. Rapid mold growth is due to moisture. There are varieties of mold that are considered toxic. During the restoration process, the company will deal with the problem by removing mold safely. They will also take some safety measures to protect your home from future fungal growth. Restoration companies are experts in assisting home and business owners in processing their insurance claims. They can help you get a fair settlement from your insurance provider. Since one of the requirements is to present proof of damages to the insurance company, they’ll be able to help you with that. Hiring a flood damage repair company is a good decision because they can help you reduce the losses and costs of damage. With the mitigation process, it will only take a shorter time to clear the affected area, hence, less damage will occur. What to look for in a flood damage restoration company? Not all flood damage restoration company are created equal. The selection stage requires time to ensure that you’ll hire the right company. Suffering from a flood is no joke. It can be a very stressful situation as you have to deal with various aspects of the damage. If you’re unsure of the company to consider, there are criteria that will help you make a sound decision. When you are searching for a company to deal with your restoration project, you need to be careful because there are companies that will offer the cheapest service cost without giving you a guarantee that the job will be accomplished in a satisfactory manner. Choose a licensed company so you’ll have peace of mind. You need a company that can provide you with a fast response. When a company has the ability to respond quickly, you can be sure that there will be less damage. A reputable company is available any time of day even in the middle of the night if you consider a company with 24/7 service. It’s already a red flag if you’re only getting a company’s voicemail. Whether you’re calling the company to address your water damage emergency or you have a question about the service, you should get a response right away. You do not want to commit to any company that has not proven their professionalism so getting free estimates and inspections is a good way to start. Knowing the cost and the time required to finish the job will give you an idea whether or not they know what they’re doing. You should also have a written contract. The company should also take the time to explain to you the details you find confusing. Never agree to sign the contract unless you have fully understood what’s written. Trustworthy companies would not mind giving you a warranty on all of their work. It’s an assurance that they can handle the job professionally. If a company fails to provide a warranty, it’s a sign that they’re not the right people for the job. Doing your homework before hiring a flood damage restoration company will ensure that your home will be restored to its safest condition. Flood damage Vero Beach restoration company will take care of the problem so you stay comfortably inside your home minus the worries. A fire can be devastating and the damage from the smoke it produces can be as well. If a fire does occur in your business, you must have a professional clean up the smoke damage. Smoke damage can persist if not re mediated properly. Once a fire occurs, it is obvious what fire damage looks like in your home. What might not be so obvious is the smoke damage. Fire damage produces charred items, walls that are discolored, soot or ash on the floor, walls and ceiling. However, the smells and chemicals emanated from the result of a fire burning can be harmful to the surfaces in your home as well as your health. Smoke damage can occur immediately after fire damage, but it also can take several hours or days after the fire to manifest. Almost immediately after a fire has been put out, it is evident smoke damage is there in your home or business. Walls & ceilings. You might notice a yellowing as the smoke damage gets worse. Plastic surfaces, wood & appliances. These types of surfaces can become discolored and even warp from smoke damage. Metal hardware & Metals. Rust and corrosion will start to develop on any metal hardware in your home or business. These types of surfaces can also become permanently tarnished. Marble, granite or travertine. Countertops, tiles or other surfaces that contain these materials will usually permanently discolor from smoke damage and acidic residue found in soot. Many surfaces in your home or business will display the symptoms of smoke odor. This can happen on surfaces or fabric items. What causes this smoke odor? Smoke from a fire produces tiny particles of carbon (called soot) and this soot settling on surfaces of your home causes the smoke odor. After fire damage restoration has been completed, smoke damage restoration is necessary to get rid of smell produced from fire damage. Smoke has several components which produces the odor that lingers. It produces particles that can penetrate fabrics and surfaces. These particles can be toxic. Smoke damage also produces vapors that can be poisonous if you inhale or are absorbed into surfaces. These vapors present themselves as fog-like droplets. Carbon monoxide (CO) is the most dangerous toxic gas produced from fire damage. Another toxic gas called phosgene is produced with items such as chlorine are burned. Hydrogen cyanide is produced from common household items such as insulation, synthetics, plastics, carpets, clothing and plastics burn.